Uberall is a digital location marketing solution, allowing businesses to list all their locations online, boost local SEO, capture new customers and stay in touch with customers through social media and review sites – from one cloud-based platform. We spoke with Florian Huebner, MD and co-founder of uberall. We founded uberall in 2013 for one reason: To build relationships between businesses and local consumers. Like everyone else, I always enjoyed finding new places – whether in my adopted home of Berlin, or somewhere new entirely – and I knew the problem of finding great places to eat or drink, or to find businesses I needed, given that sites and magazines always seemed to recommend the same handful to go to. While these cafes or bars were fun to visit, I always felt that there was a better model out there for consumers, and a better way to get people to go to businesses with real local expertise and presence. So with my old friend and colleague, David Federhen, we set out to make online and offline work seamlessly together for businesses. After founding in 2013 in Berlin, we’ve grown from a small team of four people into an international company of over 100 employees, with Forbes 500 clients including The Marriott Hotel Group, Vodafone and 1&1. What’s more, we opened our second office in San Francisco last year. uberall develops the Location Marketing Cloud, a single, centralized platform which makes every single one of a business’ real-world locations visible on every platform online, so the business can be found wherever consumers search for them (or for the appropriate terms, e.g. ‘coffee near me’). Plus it enables business owners to reach more consumers through centralised social media presence, and gives business owners meaningful insights to strategically improve their businesses if needed. We work with large multinational corporations with thousands of physical locations, smaller businesses with only a handful (or just one), and we also partner with resellers – so we bring more consumers to stores than any other tool, and create long lasting relationships between businesses and consumers. This business idea is based in some deep changes in consumer behaviour over the past 10 years. Since everyone now has a smartphone, people have gradually developed a more fluid approach to shopping. Rather than simply buying online or offline exclusively, people search online for goods and services, and then buy them offline. In fact, 80 percent of all mobile searches are for goods and services near to the person – and this leads to a 50 percent chance of the person buying the product within 24 hours. If I’m wandering around a city and you want a coffee – what do you do? You do a quick search, and within two minutes you have a cappuccino in your hand. The metric we used is simple: It’s the number of physical locations we manage for our clients. This is the figure that’s directly aligned with our mission: To bring local businesses closer to their customers – so, the more locations we manage, the more we’re working towards our mission. Furthermore, it’s also what our publishers, like Apple and Yellow Pages, for example, are looking for – how many businesses we can bring online, as this is definite evidence of our success as a company and the product we produce, and the impact we have on the business ecosystem. After we broke the ceiling of having a million listings online back in 2015, we were able to more effectively close partnerships with companies such as 1&1 who integrate our products as a white-labeled solution for their own customers, giving the Location Marketing Cloud wide penetration. The Listings Network we curate contains international names, as I already mentioned, like Google and Facebook, Apple and Yelp, but we also have dozens of national and regional networks. These could include a publisher like Meinestadt.de, for example – a German network, which has information on local businesses all across the country – or smaller networks, such as the various directories for German federal regions. To secure the partnership of these networks and publishers, it’s necessary to demonstrate competence and excellence in managing location data – something that having more physical locations enables us to do. And since the Cloud enriches and secures multi-store location data in this global range of directories, the more directories we’re able to secure, the more we’re able to maximize findability for individual store locations (if, of course that new network is relevant for the location ). 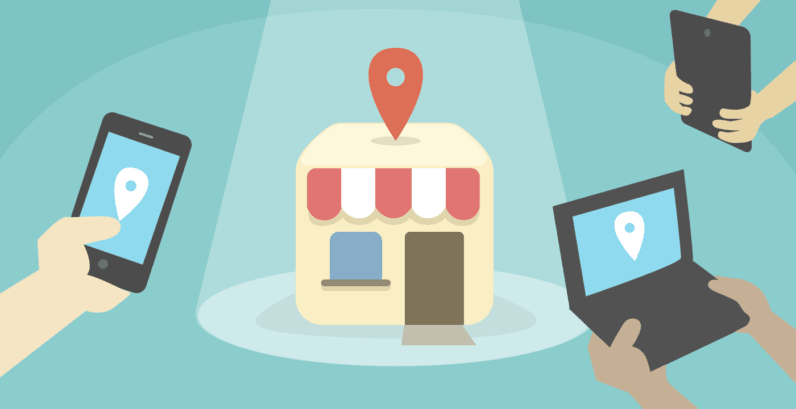 Local businesses must have attractive, consistent and correct profiles for their business locations to ensure they rank highly on search engines. This means to take advantage of these searches, businesses must be visible and be willing to engage with their consumers online. The intelligent solution that uberall provides (software as a service, SaaS), allows local companies to present their products and services wherever potential customers search for them. Firstly, revenue is tied to our metric, since every location online is linked to a paying client. So of course, revenue is a significant factor when talking about this metric. But we know that for us, we’ve been able to point to number of locations. That has enabled us to focus on our real goals in discussion with partners, investors and others. The metric is easy to grasp and to accept as a proxy for our success, but also filters away a lot of smaller discussions one could have at any given point in time. For example, when we sell our Cloud, there may be some fluctuation in the geographic split or average package prices in one month which in another business may be a worrying sign – but for us, it doesn’t actually demonstrate the long-term market penetration of the tool. This didn’t necessarily come as a eureka moment – and my advice to young businesses and new entrepreneurs would be this: Look for the strategic goals, and not simply for those moments of cinematic inspiration. Getting your business to grow requires a lot of careful thinking and planning – and for us at uberall, we always have been measuring our success strategically. Our metric demonstrates our methodical approach as outlined above. This begins by trying to woo a lot of clients with our product. But more interesting is how the strategic aspect of our sales planning enabled us to develop more innovative approaches to selling. We started looking very pragmatically at how we were generating business; it allowed us to decouple from vanity clients or go-to-market strategies that we had always envisioned, and began to see where and how we could best target new clients, and provide them with tailored expertise. We were then able to take this expertise about the client’s needs and further improve our product, which in turn, of course, improves the future sell.